Got a p0300 today. No other codes. Plugs and wires have been recently replaced. One of the coil packs has also recently been replaced. I am not sure what it could be I've always gotten a 301 or 302 and not the generic 300. PO300 This is a generic DTC. I suggest to re-set the ECU via the OBDII diagnostic connector "directly" and drive a full cycle and recheck for DTC via the direct access of the OBDII diagnostic connector. There is a misconception on forums with many DIY that a DTC is the actual problem. These DTC's were programmed in the ECU as a starting point for more diagnostic evaluation and testing of components to determine exactly what caused the DTC to be posted. Yes, well aware that p0300 is a generic code and a starting point for diagnostics. Other than clearing the code and doing a drive cycle do you have any other suggestions for diagnostics? The service manual mentions CKP Sensor and CMP sensor as possibilities. Where are these and what do they look like? There is NO diagnosis for "GENERIC" Diagnostic Engine Codes (DTC)! Look go re-read what I said and what you seem to respond to know about the generic DTC???? Maybe you would rather have help from fellow DIY's and not anyone that is an actual Auto Technician? Last edited by Grendel65; 01-04-2019 at 03:58 PM. Not guessing. I am looking at the mazda protege service manual and the 24 step procedure for p0300 and the number of possible causes that are listed. You may be correct that this code will not re-occur or that an additional code will surface. But until then I'd like some help in narrowing the possible causes down. Last edited by smetzger; 01-04-2019 at 04:11 PM. You might have just got some bad gas. 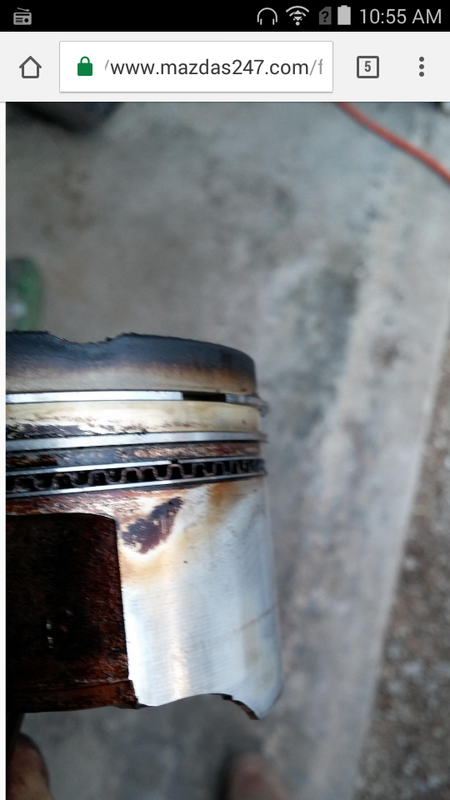 I say jyst throw some injector cleaner in the gas and give it some time. LOL You don't even have a confirmed problem yet. Go back to the beginning of YOUR thread and read slowly the posted information. I think you will find the first thing that was suggested to do? ha! Last edited by Grendel65; 01-04-2019 at 07:51 PM. Did your CEL flash or did it just come on ? If it didn't flash then it's not as serious. ... One of the coil packs has also recently been replaced. You should consider replacing the other coil pack. Coil packs can be a real problem with our car. They can test fine on the bench but fail on the car. They are a leading cause of engine misfire with our car and can be bad brand new out of the box. ... I am not sure what it could be I've always gotten a 301 or 302 and not the generic 300. It's possible that if the coil is misfiring on two cylinders (1&4 or 2&3) it might register as a "random" misfire. I've been using "Snake Oil" (Seafoam) since the day I bought my car 9 years ago. I originally put half a can in the gas and half in the oil. I put half a can in the new oil and leave it in till my next oil change. I put as shot in the gas at every fill up. My car has never been a problem, idles smoothly an doesn't burn a drop of oil. I'm sure I'm keeping my oil rings clear of carbon buildup. 1) traded both coil packs with my other P5. 2) Cleaned the MAF, checked the air intake hose after the MAF for cracks, and checked for Vacuum leaks as best as I can. 3) can of seafoam in gas. 4) pulled a single spark plug. It looked good, a very little oil around the top but no oil down into the threads. 5) Cleared codes. Did drive cycle Mode 1 and have driven it a little. No codes yet, but all DTC haven't been checked yet. You appear to be new here, but no need to be a d!ck. We're all just here to help. And yes, there are more ASE master techs than just you on this forum. Some of us just don't feel the need to advertise, bragging about passing a couple tests. I know several ASE master techs who have never spent one day in a shop actually working on cars. And I know other ASE master techs I wouldn't let touch my bicycle. So you passed a test. That's good, but doesn't mean it's a license to be a jerk. P0300 isn't a "generic" code. It is a code for a random multiple misfire. This code will come up with you have misfires is more than 1 cylinder long enough to trip a code, but not long enough or consistent enough in any one cylinder for the computer to single out any particular cylinder. Did you replace the plugs and coil pack because of an issue, or preventative? Did you use OEM coil pack or cheap generic? Did you gap the spark plugs? Never trust the gap when they come out of the boxes. Are the connectors on your coil packs connected securely? The locking tabs get brittle and tend to break or crack on the harness connectors. It could be something as simple as bad gas, maybe a bit of water got where it shouldn't have, or could be about a thousand different possibilities. I would recommend clearing the codes, and just drive the car. Sometimes there's just fluke things that happen for no reason. If the ONLY code in your car was a P0300 then I wouldn't worry about it too much right now. Clear the codes, and drive it. See if it comes back. If it does then maybe next time it will be accompanied with another code that can help in troubleshooting. I wouldn't spent too much time, or any money trying to diagnose a P0300. All you'd be doing is throwing a dart in the dark after a few drinks and hoping you find the target. Plugs and wires have been recently replaced. 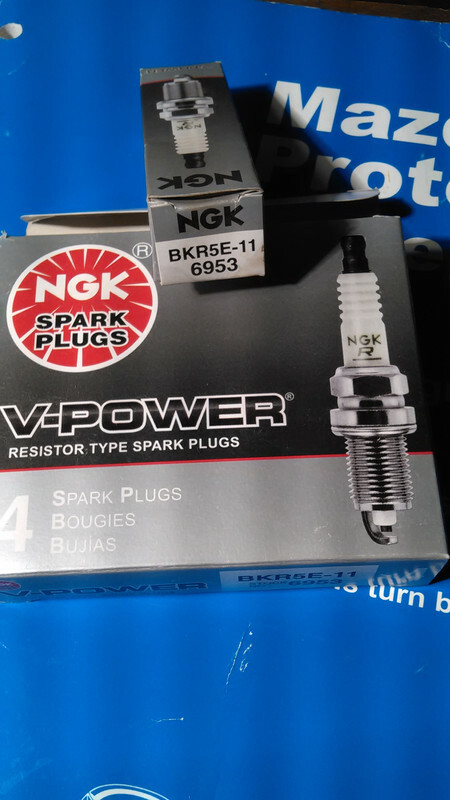 Use regular NGK V-Power copper plugs. They give the the strongest most reliable spark. They wear out and have to be gapped/replaced more often but they only cost $1.50 a piece. You might want to invest in quality coils. When I first joined this forum I replaced my coils after reading about all the problems they can cause. 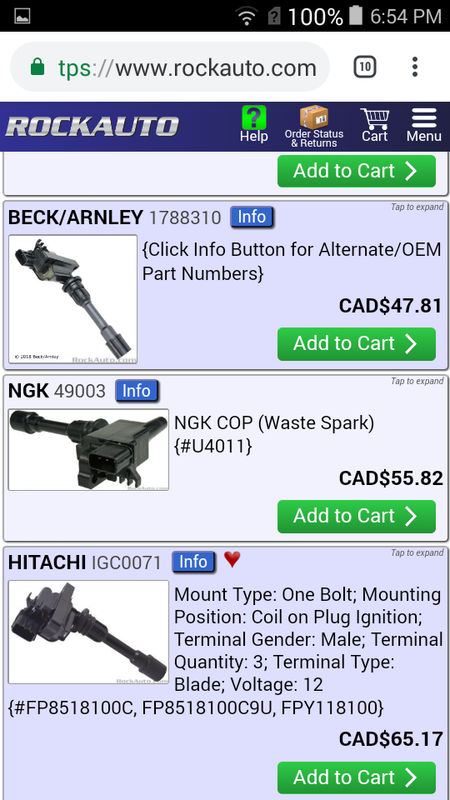 I went with Beck-Arnley and they have been working fine since then but if IIRC Hitachi was the OEM supplier of coils for our car. It might be the only part on my car where I will spend the money to go OEM.